The houses range from grand and ornate estate houses to small, with outhouses, stables, fences and even underground ice-bunkers (storage without electricity). 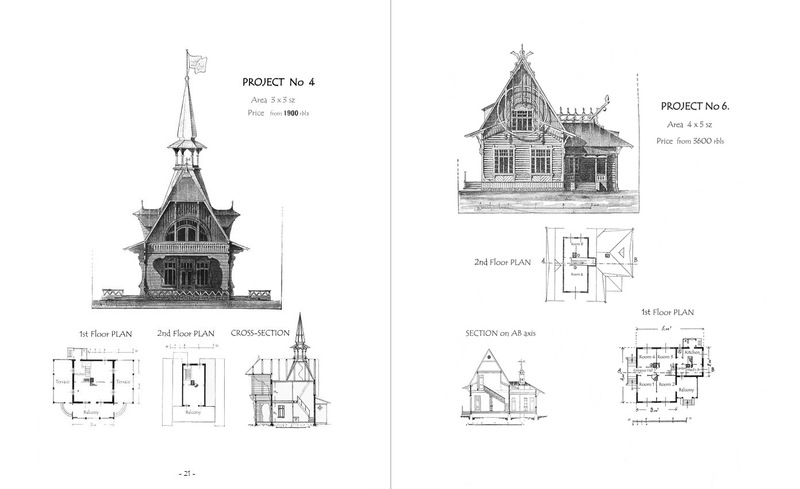 The catalogue is sub-titled ‘cheap buildings’ due to their relative low cost as compared to the grander city or country dwellings made from stone, brick or cement. 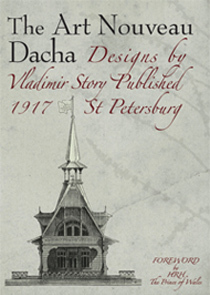 Almost none in the catalogue were ever made as shortly after its publication the Russian Revolution instigated a huge social upheaval and a radical shift in the economy. Russian Art Nouveau quickly lost its prominence. Thus this book preserves many important final and original ideas of design - just before their epoch ended. 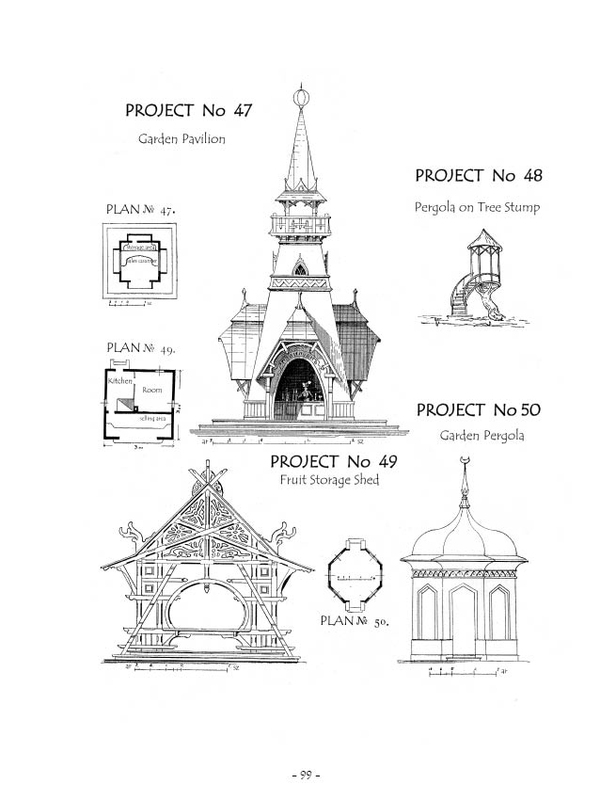 Accompanying the designs are short statements from the architect describing the concepts and alternative blueprint ideas - thus giving a rich insight into the public-to-architect relationship. This book is part of an attempt to keep the stock of interesting design ideas alive and available for present day architects and home-owners. 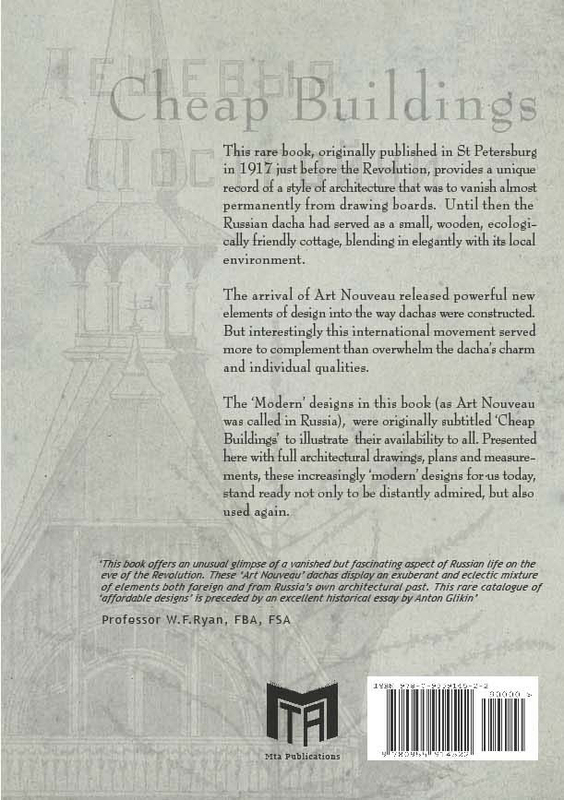 It carries a comprehensive and contemporary Introduction by the St Petersburg architect, Anton Glikin.